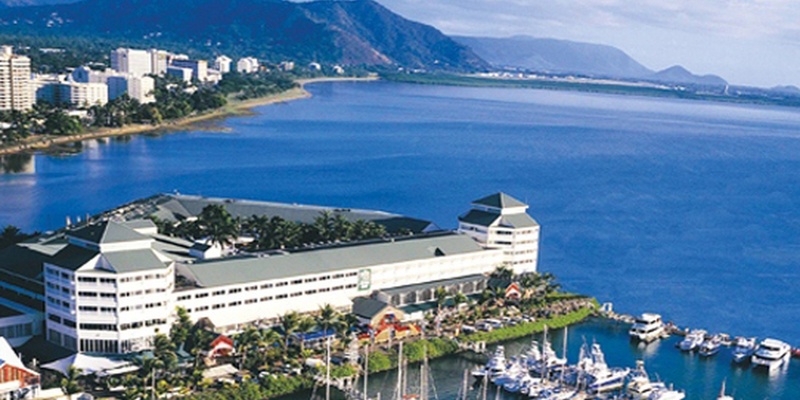 The Shangri-La Hotel is a 5 star international resort hotel overlooking the Great Barrier Reef in Queensland. The hotel is a tropical haven for guests who come from all parts of the world to see the wonders the region has to offer. The comfort of the guests is paramount to a successful leisure business. The continuous performance of the air conditioning and refrigeration is essential. Some years ago the hotel chose Project Air Conditioning to facilitate all aspects of the mechanical equipment routine maintenance and mechanical refurbishment work. The refurbishment work being undertaken by Project Air Conditioning is a progressive upgrade of chilled water air handling units throughout the resort. In recent times the work at the hotel has included the removal and installation of large capacity air handling units. We submitted a proposal to replace the old units with a more efficient system. We assembled the units onsite and transited the parts up 3 floors in the hotel to the plant room. The process required the Chilled water lines to be frozen whilst we removed and installed the new units and pipe work. All units are now in service and operating correctly. In addition to the air conditioning, Project Air Conditioning delivers a round the clock breakdown alert of all the hotels cool rooms, freezers, ice machines and other refrigeration equipment.